The Hallpike Paper – Universal and Generative grammar – a trend-setting idea or a mental straitjacket? From­ Jenner’s point of view, philosophy represents much more than just an academic discipline – today, preferably reduced to the two fields of analytic and historical philosophy. For him, philosophy is an attitude of mind, which consists, above all, of questioning what is supposed to be self-evident. In this sense, probing into the nature of science was always foremost in his mind, precisely because scientific truths are regarded to be beyond questioning. What relation do the laws of nature have to the laws ceated by man as these become manifest in culture, and, especially, in religions? Works. According to Jenner, this question had been dealt with at the end of the nineteenth century by intellectual giants, such as Wilhelm Dilthey, Max Weber, Emile Durkheim, or William James, with a depth of thought and breadth of empirical survey never again reached since that time. The discussion has nevertheless not yet been completed, as proved by Richard Dawkins‚ barnstorming but misleading book „The God Delusion“. Jenner ’s book “Creative Reasons – a Philosophy of Freedom in Nature and Man” (German original: „Die Macht der Träume und die Ohnmacht der Vernunft – eine Philosophie der Freiheit“, Metropolis-Verlag) endeavors to explain two different types of truth: the truth of religion and the truth of science (Content+Conclusions). Religions establish values ​​and create communities (the elementary meaning of Latin „religio“ is binding) – a function the sciences are unable to exert. Contrary to popular religion, Mysticism tries to free itself from all anthropomorphic delusions. In this respect it resembles science. It is not surprising that its language – as its most knowledgeable expert Rudolf Otto emphasizes – is a universal one, encountered in most different cultures all over the world. In his yet unpublished book „Der Dawkinswahn oder die Antwort der Mystik“ (“The Dawkins Delusion or the Answer of Mysticism“) Jenner tries to penetrate into the depths and varieties of mystical thought. Freedom of the will and the actions based on it constitutes a central problem for Jenner. All the more so as it is strictly denied in modern neurology. The brain is said to be a device functioning according to natural laws, so that every effect must be lawfully attributed to a cause. Freedom of will exists – but merely as a subjective illusion, not as an objective fact. This belief in a world dominated exclusively by laws of nature – a belief long since relativized by quantum mechanics -, Jenner (following Karl Popper) considers a ‘metaphysical’ (because not falsifiable) assumption whose historical origin and, in his opinion, erroneous justification he reviews in his book ‘Creative Reason – a Philosophy of Freedom in Nature and Man’ (content + theses). Jenner stresses the obvious parallelism between the denial of freedom both in religion and science. At first glance, the respective motivations appear to be fundamentally different, but according to Jenner they result from the same antagonism. While on the one hand ‘critical theology’ gives way to ‘power theology’, in an analogous way ‘critical science’ is replaced by ‘power science’. Whether Jenner has succeeded in convincing religious or natural science determinists with his ‘four proofs of freedom in nature and man’ remains to be seen. 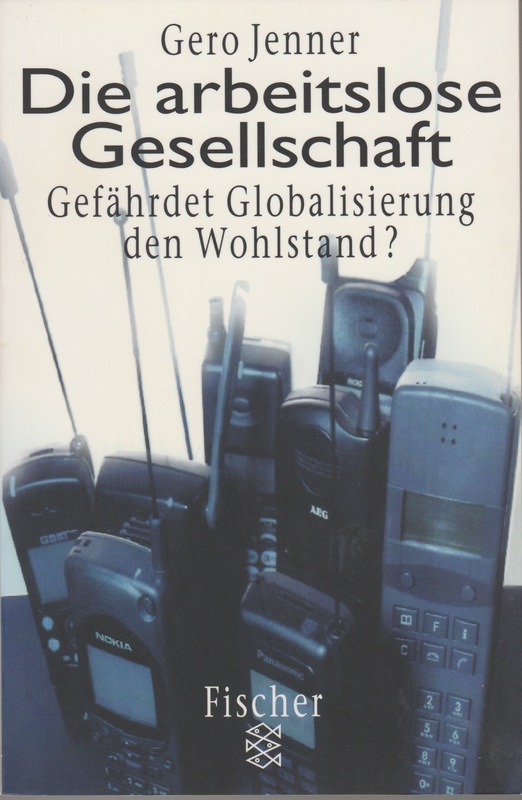 According to Gerhard Scherhorn, Jenner has coined the concept of ‘repression trade’, by means of which low-cost suppliers (who, however, do so in the interest of domestic big companies) undermine the productive base of old industrial societies. For some time at least, outsourcing was a more potent agent of job destruction than technological progress. As regards the latter, Jenner provides a theoretical justification why it ends up creating many more jobs than it destroys (see ‘Die Arbeitslose Gesellschaft’ (Jobless Society), S. Fischer). Since automation is steadily reducing the cost of products, the general purchasing power and hence the demand for new products and new professions are accordingly increased. If this process is now (largely) obstructed, it is because the gain generated by such price reductions is sucked up by investors (instead of increasing the general purchasing power). In times of globalization investors are given the further opportunity to invest their profits all over the world wherever taxation is lowest, environmental requirements are least restrictive and labor is cheapest. In this way workplaces have been destroyed in the old industrialized countries (and especially the US). Jenner has designed a radically simplified eco-social tax system that has at its main characteristic that it leaves performance – that is, what each individual gives to society – free from taxation. Instead, it is consumption, i.e. what each individual takes from society – that is made the exclusive object of taxation. This means that work in all its manifestations whether that of an unskilled worker or that of a highly paid CEO – remains free of taxes. All non-wage costs too are abolished (New fiscalism). Jenner’s model of a progressive consumption tax on individuals (made possible by digital technology) combines the demand for social justice with that of resource conservation – a demand of at least equal importance. Both aims can be most effectively implemented in digital money systems as they have been recently introduced in some Scandinavian countries. 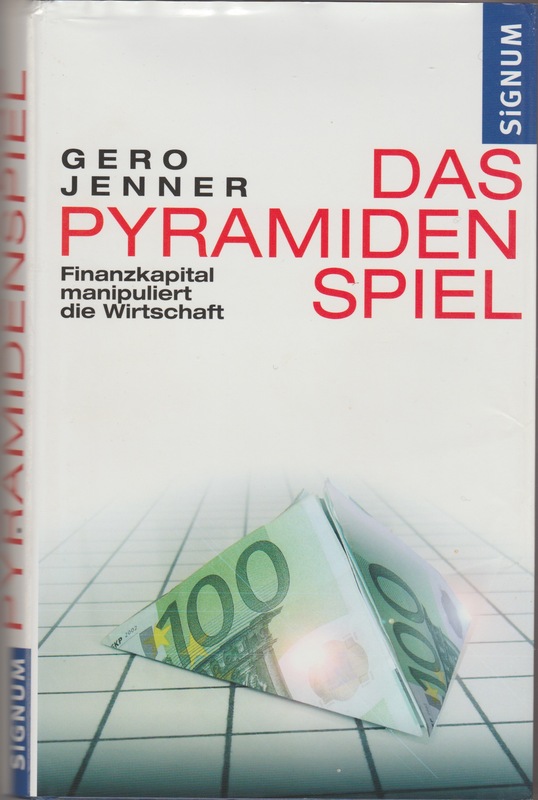 Jenner disagrees with full-money (100%-money) theorists, who attribute to business banks the ability to create money out of nothing thus circumventing the monopoly of the central banks. He holds this theory to be wrong and orthodox money theory, which denies this capability, to be fundamentally correct. Together with Silvio Gesell and Helmut Creutz he does, however, believe that the mechanism of interest favors enrichment without performance. In this way capitalism – more precisely, what he calls ‘parasitic capitalism’ – divides society into a plutocratic minority and a majority exploited by it. The redistribution of economic wealth from the bottom upwards is made possible by interest as well as by other kinds of rent (The Ponzi Scheme, The Economic Manifesto). While Jenner sees a major advancement in the globalization of knowledge, he is a keen critic of unrestricted globalized financial and commodity flows. Any distortions and breakdowns at certain points of the globe may become a danger to the whole world. That is why any major crises in the US or China are likely to destabilize all other economies (as did the Great Depression of 1929 and the Crisis of 2007). In the wake of Bertrand Russell, Albert Einstein, Arnold Toynbee, and Immanuel Kant, Jenner sees the only chance for mankind to avoid self-destruction by an ever more relentless, ever more murderous economic and military competition against itself, in the establishment of a future world government. This alone would be capable of diverting globalization from the path of destruction into that of a lasting peace. Gero Jenner: Principles of Language(revised).